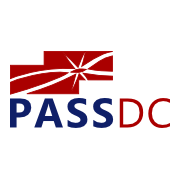 PASSDC’s regular meeting, with food provided and a raffle, followed by “Office Hours” at Clyde’s of Chevy Chase across the street (downstairs bar). Bring your questions and build your network of SQL Server peers. Excerpt PASSDC's regular meeting, with food provided and a raffle, followed by "Office Hours" at Clyde's of Chevy Chase across the street (downstairs bar). Bring your questions and build your network of SQL Server peers.